Tuesday is fast approaching and I’m trying to get the last demonstration pieces sorted out for the art/landscape class. So far, I’ve laid down layers of beach sand, set up the water’s edge, and covered the top of the background with fabric for the water. 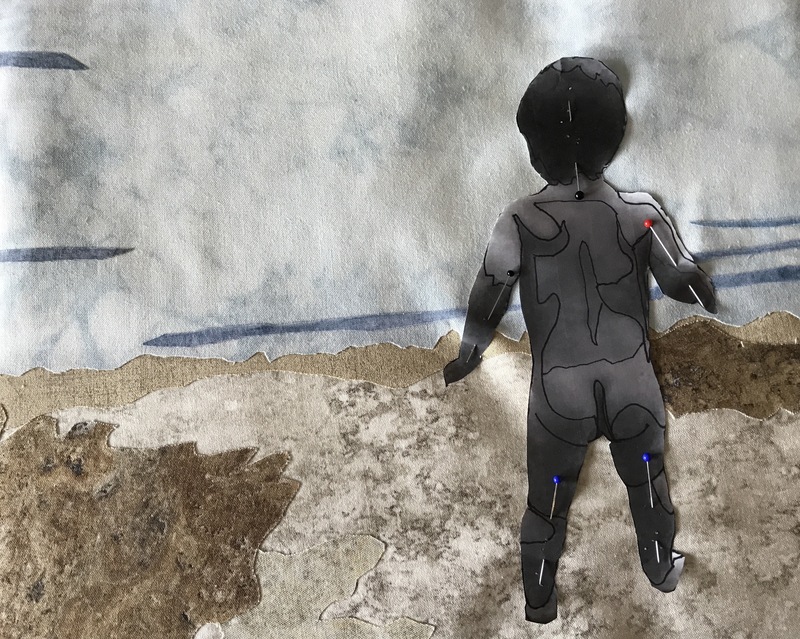 I’m place holding the child with a paper cutout on which I’ve marked the colour blocks – I think I can create him with bits of five fabrics representing the gradations of colour on his body. The next step is to do a LOT of thread painting to bring out the texture of the sand and to represent the wind on the water. Then I’ll work on putting the child together – I’ve already added fusible web to the back of my flesh-toned fabrics so once I have set up the template pieces, I’ll cut them out and fuse them together. Finished dimensions of “At The Beach” will be 12″ x 9″ with a hidden binding and no borders/framing. 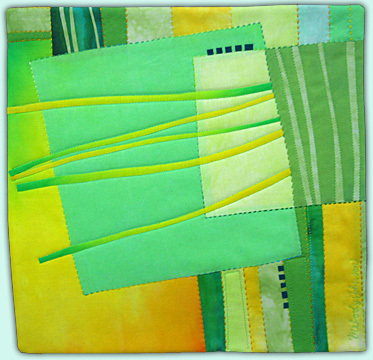 Her pieces are often small (12″ x 12″), constructed from geometric shapes cut from either solids or hand painted fabric – pieced and appliquéd, usually with a hidden binding. 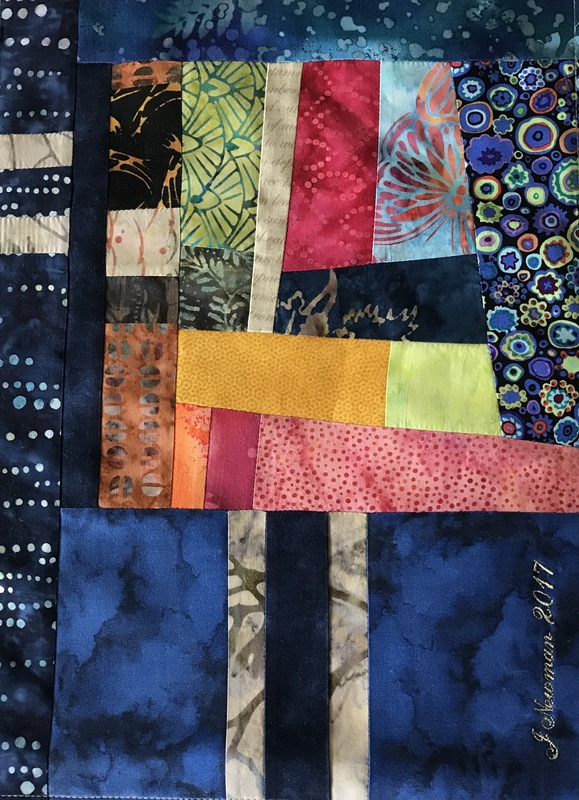 I still have to quilt the piece – I’m thinking I’ll quilt this starting with stitching in the ditch, then add more straight lines of stitching to fill the space; I’ll see once I’ve done the stitching along the seam lines.